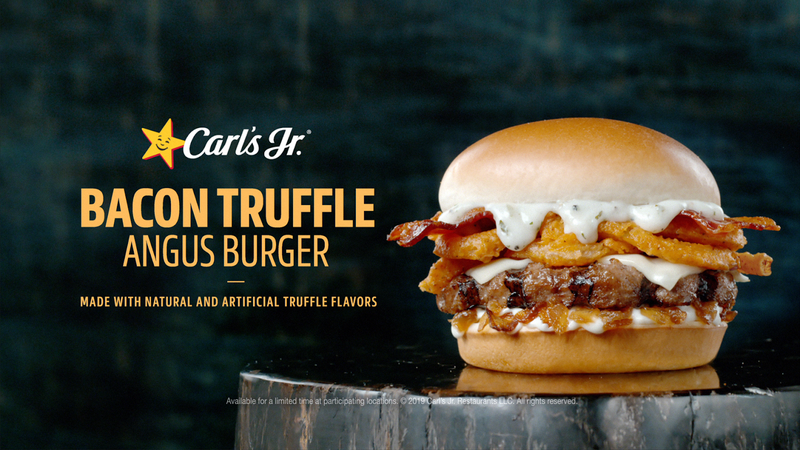 The new Bacon Truffle Angus Burger features a decadent truffle-infused white cheddar sauce*, which has a deep, rich and savory flavor including notes of garlic, toasted onion and aged parmesan. The burger includes a charbroiled 100% Black Angus beef patty topped with the premium white cheddar truffle sauce, two-slices of Applewood smoked bacon, crispy onion strings, Swiss cheese, caramelized onions and mayonnaise on a premium bun. Make sure to pick yourself up one at the Moses Lake Carl’s Jr. before they’re gone at 1765 Kittleson Rd NE! !